Well, to start with a KAL (knit-along) is an adventure in which knitters are working on a common project at the same time. She-Knits Mystery KAL, are the same idea however, though you know what the object is that you are going to knit (i.e. a purse or a shawl etc) and are given the materials information, you do not know what your project looks like until you knit the weekly clues and see as it emerges off your needles. CLUES - After you purchase the “pattern” from She-Knits Ravelry Shop HERE it will be sent to your e-mail as a PDF, in small achievable sections, known as ‘clues’, on a weekly basis for the duration of the KAL. VIDEO's - There are always accompanying on-line free YouTube videos created by Sharon that will visually support the knitter through specific techniques used within the pattern. You can view or join my YouTube Channel, SheKnitsSharonD, at any time. 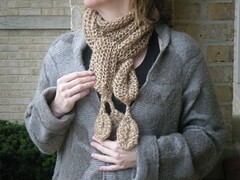 It is a group that Sharon creates within Ravelry specifically for She-Knits Mystery KAL’ers. Sharon is the moderator and a participant in the group discussion. The group provides education, support and a very friendly community in which to chat. If you are interested in checking out a prior She-Knits Mystery group, take a look at the She-Knits Mystery 3 group from ROBIN. and read through some of the threads to get a sense of what to expect. The group is optional to join however I always ask those participating in the KAL to at a minimum join the group so they can stay aware of the IMPORTANT UPDATES thread that I alone post in. You needn't participate in the thread if that kind of thing doesn't float your boat. If you want to receive the She-Knits once monthly brief Newlsetter, which will tell you when the next She-Knits Mystery KAL is going to be open for sign-ups as well as if there are are any newly published She-Knits patterns, please enter your e-mail addy HERE in the box on the right side of that page. Here is where as a good self promoter I should post some of the good comments people have said but instead I will humbly link you to the Thank Sharon thread one of the participants started in Mystery KAL 2. Holey Moley, these knitters are so nice. ~or at a minimum you will definitely have fun! To see what went on with She-knits first and second Mystery's check out the companion groups HERE and HERE to get a sense of what they are about. 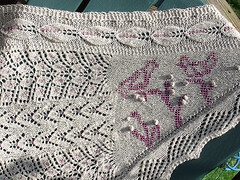 She-Knits Mystery KAL #1 was in Summer of '09, and is called EMMA. 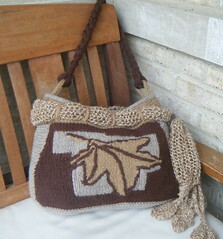 The pattern is for sale HERE in Ravelry or HERE in my Etsy shop. 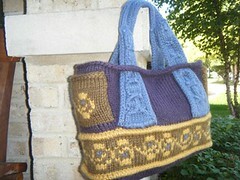 There is also a complete kit available (which includes the pattern for free) HERE.